What is a debit Visa card? Debit Visa cards are the leading type of debit cards in the U.S. and can be used instead of cash to make purchases at millions of businesses. At the end of 2015, there were 471 million debit Visa cards in circulation in the U.S. and 1.09 billion in other countries around the world. Debit Visa cards are payment cards that you can use to pay for goods and services without having to carry cash. The cards have 16-digit card numbers and are linked to your deposit account. When you make a purchase with your card, the cost is automatically subtracted from your account balance. Both consumers and businesses can benefit by using debit Visa cards to make purchases and payments. How does a debit Visa card work? Purchases that are made with debit Visa cards are subtracted from your bank account balance. Debit cards are linked to bank accounts instead of being linked to lines of credit. This means that you are not charged interest on your purchases and will not have to submit to credit checks. There are both general purpose consumer Visa cards and business debit Visa cards. 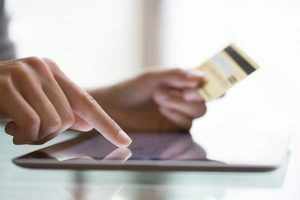 Debit cards that are designed for businesses may have added features such as expense management tools and integration with your business accounting software. People and businesses are able to purchase debit cards from Visa online, and consumers can get them from their banks. A credit card from Visa is a card that differs from a debit Visa card because it can be used to make purchases on credit. In order to get a credit card that is branded as a Visa, you must credit-qualify. Businesses that apply for Visa business credit cards must also credit-qualify, and many card issuers also require the business owners to submit to credit checks when they apply for business credit cards. If you are approved for a credit card, you will be able to use it anywhere that Visa is accepted. Purchases that are made with the card are paid for from an attached revolving credit line. If you fail to pay off your card balance each month, you will be charged high rates of interest. Many credit cards also charge high annual fees. How does a Visa credit card work? Credit cards have attached lines of credit. When you use your card, you basically are using a loan of funds to pay for the items that you buy. You can pay off your balance in full to avoid interest charges before the end of the month. Some people instead carry balances on their cards and can make minimum monthly payments. Many people and businesses carry balances on their credit cards. When the interest and fees are added, their debt levels can quickly get out of control. According to the Federal Reserve, credit card debt was more than $1 trillion as of Aug. 2017. If you choose to have credit cards, it is important that you avoid making minimum payments and try to pay your balances in full every month so that you won’t suffer from spiraling debts. Debit cards from Visa may be a better choice than credit cards from Visa. Both can be used to make purchases anywhere that Visa is accepted, which includes a majority of merchants in the U.S. and millions around the world. Unlike credit cards, using debit cards will not add to your debt. When using a debit Visa card the money is subtracted from your own account so that you are spending money that you already have. Instead of spending money at a high rate of interest. Debit Visa cards are plastic cards with card numbers. They can be used to make purchases at brick-and-mortar locations as well as online. The cards give you the versatility that you need to make payments when you need to make them without having to use cash or to write checks. How can a Visa business debit card help improve your expense management? A great benefit of using a Visa debit card for business is that doing so can help to improve the expense management at your company. Visa business debit cards can be given to the employees who have to make purchases for your company. You can restrict the types of purchases that your employees can make with their cards so that they cannot make purchases that you have not authorized. Some Visa business debit cards also have features such as the ability to integrate with your bookkeeping software such as Quickbooks. Instead of your bookkeeping staff having to manually enter the expense data, the information can upload automatically. Your employees can photograph the receipts so that electronic copies of them are attached to the transaction data. Did you know that using a Visa debit card for business can help to reduce the risk of fraud? Using debit Visa cards for your business’s spending can help you to mitigate your business’s risk of fraud. Many small businesses fall victim to internal fraud that is committed by employees. Employees that have access to your accounts or to petty cash may withdraw money or write checks to themselves. Those who have access to your business credit cards may make purchases for themselves. If you use a reimbursement process, your employees may inflate their reimbursement requests or make fraudulent requests for reimbursement. When you use debit Visa cards, you can eliminate the need for your employees to have access to your accounts and can eliminate petty cash and reimbursements. Some cards give you substantial controls over the spending at your company. 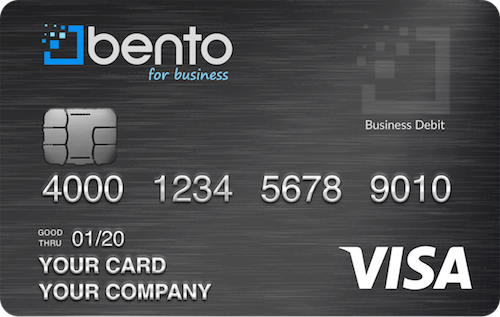 For example, the Bento for Business Visa debit card lets you decide how much money each employee can spend on his or her card. You can also limit individual cards to be used at only specific vendors and can turn cards off or on remotely. There are several warning signs that might indicate that an employee is committing fraud. If you notice at a worker’s behavior has changed to become more nervous or secretive, it can be a sign of fraud. Employees who are suddenly living beyond their means may also be engaged in fraud. Workers who are going through financial difficulties may also start stealing from their employers. Those who refuse to let others check their work and who won’t go on vacation may be committing fraud. Finally, allowing one person to have too much control over your accounts can lead to fraud. You should always have at least two people who have their eyes on your books and watch for signs that might indicate fraud. Bento for Business is a company that was established by veterans of the financial industry. 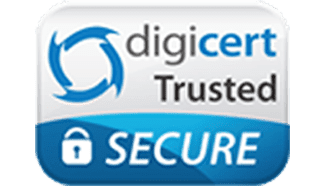 The company’s business debit Visa cards give business owners extensive controls so that they can keep their expenses in check and prevent fraud. You can decide how much money to deposit. From your account, you can then allocate the amounts that you choose to place on each card and limit when, where, and how much your employees can spend. To learn more, call 866.220.8455 or start a free 60-day trial today by filling out our online form.